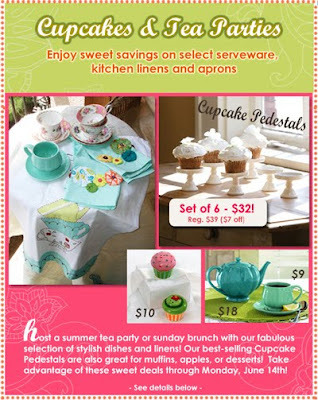 I just wanted to quickly tell you about the Cupcakes and Tea Parties Summer Event happening now at Modern Chic Home! Save on select items in my shop, including the ever popular Cupcake Pedestals! Take advantage of sweet savings now through Monday, June14th.